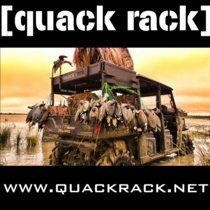 "It was easy talking to GetDucks.com staff. They prepared me ahead of time to get us ready and were ..."
Experience the best Argentina duck hunting adventures. 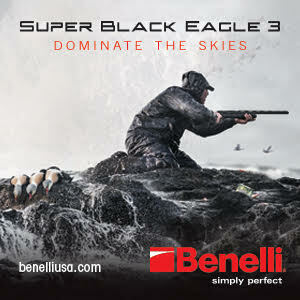 Real duck hunts for real duck hunters; superior shooting, heavy straps, and authenticity are our specialty. To find the real keepers, we’ve spent 16 years wading through countless Argentina operations – and we’re continually exploring new areas. Ducks, more ducks, or ducks plus doves, pigeons, perdiz and more – we’ve got you covered. 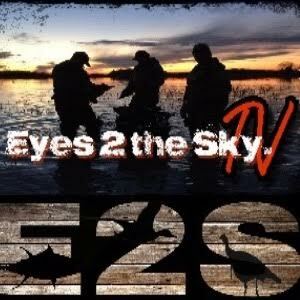 Review literally thousands of reasons to entrust Ramsey Russell’s GetDucks.com with your duck hunting trip of a lifetime. Argentina duck hunting rightfully tops every duck hunter’s bucket list for very good reasons: consistent shooting, generous duck limits, and authentic amenities provide the perfect combination for Argentina duck hunting. Argentina is justifiably the foremost duck hunting destination in the world. Best of all, the peak duck hunting in Argentina takes place when US hunters are in summer’s grip, May through mid-August. With a complete portfolio of programs from which to choose, we invite you to experience the true duck hunt of a lifetime. There are no hidden fees, no surprises, just good old-fashioned duck hunting – all details are own our website for the world to see and we’re personally available to discuss any aspect of each hunt. Only the best Argentina duck hunting experiences are represented at GetDucks.com. Settle for nothing less. 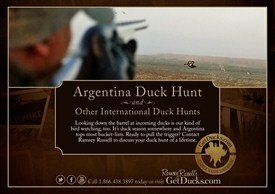 GetDucks.com’s acclaimed success in Argentina has come from a “truth in advertising.” There’s no one-size-fits-all lodge or duck hunt in Argentina. Where lodges are likely to sell anyone anything in the interest of bed nights, we will not. Instead, we pair guests with the lodge that will satisfy their specific goals and objectives. It’s just that simple. Convenient, remote, ducks-only, duck hunting combos, a variety of authentic lodging but always great meals and services: we are committed not to bed night sales but to what our clients want most in an Argentina duck hunt. High-volume Argentina duck hunting is a "real duck hunter's duck hunt" that consistently produces over-the-top action. Come see why it's the client favorite. High-volume Argentina duck hunting a remote wetland that's well worth the effort. Rio Salado Argentina duck hunting for die-hard duck hunters that will go the distance for high-volume shooting, high species diversity, and unspoiled habitat. Welcome to real Argentina. Argentina duck hunting package features duck hunts combined with high-volume dove hunting, world-class perdiz hunting, decoying pigeon, golden dorado fishing. Great value, client favorite. 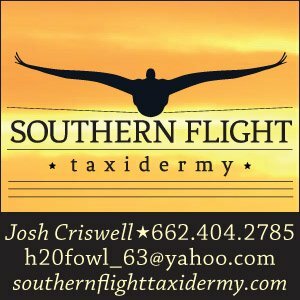 Excellent Argentina duck hunting combo program is fully customizable to include doves and perdiz and is conveniently located within a couple hours easy drive time. Never mixed with other groups, regardless of party size!